For many of us, amassing a robust collection of works by the artists we love is more a dream than a reality (though startups like Art Money are working to provide interest-free loans that should make buying art more manageable). But for emerging collectors and seasoned vets alike, the actual purchase of a piece is only the beginning of what it means to actually own art. Though not flashy, art insurance is a crucial part of collecting. It ensures that, should an artwork be damaged, it can be repaired or, in the case of a total loss, some kind of remuneration can be provided. So what do you need to know about art insurance? We sat down with Robert Pittinger, senior vice president and director of underwriting at AXA Art Americas Corporation, to get some helpful tips. When a collector buys specialty art insurance, they’ll work directly with a broker who can assess the collection and determine what policy the collector might need. That broker, in turn, works directly with the insurance companies to find the right fit. A common misunderstanding of the process, Pittinger says, is that “collectors confuse the broker with the insurance company.” It’s helpful to know that “the role of the broker and the art insurer complement one another; however, the roles themselves vary and they are different. 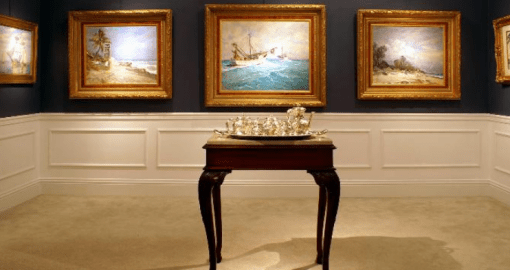 A specialized fine art broker is an advocate for the collector in seeking the best possible insurance terms for their clients.” As an insurer, AXA itself works with a select group of fine art brokers. The first step toward getting insurance is—unsurprisingly—to determine what is going to be insured and for how much. To this end, documentation is key. “One of the biggest things is that the collector needs to have all the documentation for their collection before they go to the broker, because the broker has to have a very thorough understanding of the price of the collection,” Pittinger says. When approaching a broker, collectors should have a list of all the works, descriptions, invoices of sale prices, the purchase dates, and subsequent appraisal prices.“The collector’s management of their collection is critical, whether they have an online management system or a spreadsheet or they have manuals with all the documentation and their appraisals—that is a critical part of purchasing the insurance,” Pittinger says. Broadly, in the event of damage, an insurance policy pays out in one of two ways: Either the policy will pay a set, agreed-upon amount determined by the insurer and the collector in advance, or the policy will pay out based on the work’s current market value. Pittinger says collectors opting for the predetermined payout structure may do so for a number of reasons, including peace of mind so that they “wouldn’t have to worry about substantiating the value of the works” in the case of damage. Agreed value can also move up and down over the life of a policy if the collector decides to get the work reassessed. Current market value is exactly what it sounds like: The work is insured for its current value if that figure exceeds an agreed value. “But the important thing to remember is there would be a restriction—the company would by no means pay more than the total limit of the policy,” says Pittinger. In other words, if a collection is insured for $10 million total, and one work that has radically increased in value is damaged in excess of $10 million, the insurance would still not pay more than the total cap. One final note: Do your research. Make sure you get a full condition report prior to purchase. “It’s also critical that the collectors be careful with the provenance of the piece to make sure there’s not a gap in the ownership that could come back to haunt them later,” Pittinger says. If there is an issue and the work is seized for, say, having been looted by Nazis, insurance typically won’t cover that turn of events (there are, however, some specialty insurers that would protect against such loss with what is known as title insurance). So when it comes to art insurance, the old adage “buyer beware” certainly still applies. Art Collection Insurance Program Expanded to Include Jewelry and Watches. An engagement ring can cost an average of $6,000 and up, heirloom pieces and other jewelry often have significantly higher values. Jewelry is a favorite for thieves and most often never recovered. This valuable property is usually not adequately covered under the victim’s homeowners or renters insurance and has even less coverage options while travelling. Our Fine art insurance coverage has broadened its collectibles program to offer expanded coverage of up to $250,000 in jewelry and watches. The enhanced offering represents a significant expansion to the Art and Collectibles Insurance program. 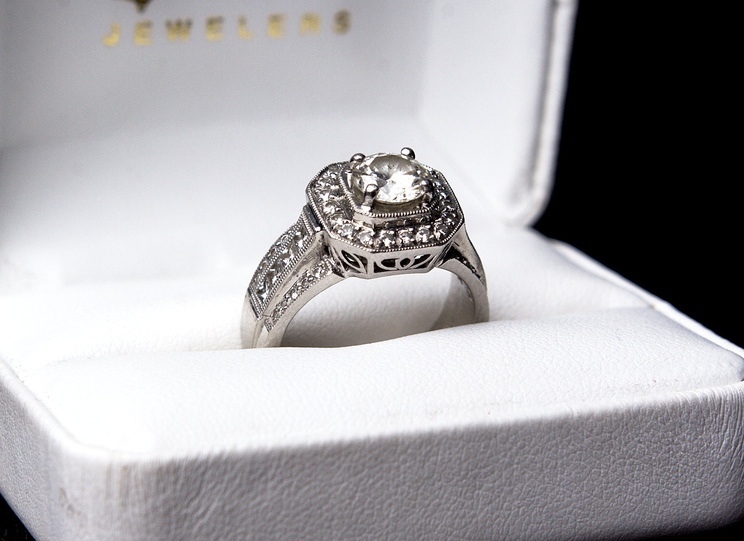 Specific items eligible for coverage include antique and designer gemstones, pearls, bracelets, charms, earrings, necklaces, pendants, and rings and watches comprised of silver, gold, platinum and/or other precious metals or alloys. Watches include vintage, collectible and every day time pieces worn on the wrist, as a necklace or in a pocket. Under this program, mysterious disappearance is an included risk, and coverage travels with the policyholder worldwide. (Note: no coverage in baggage unless in your hand and while on the premises of Hotel/Motel, unless being worn or in hotel supervised vault.) No appraisal is required at application for pieces valued less than $50,000, and a no deductible option is also available. Bernard Fleischer and Sons / ArtInsuranceNow.com would like to congratulate Marti Funke, collections manager and exhibitions coordinator for the University of Mississippi Museum, as the 2016 recipient of the Southeastern Museum Conference’s Emerging Museum Professionals Award. Marti Funke has administrative responsibility for the museum’s artworks, a collection of more than 20,000 objects. Her duties include registration of items, risk management insurance supervision, collection loans and storage. The award was created in 2008 to recognize museum professionals who demonstrate excellence and leadership at their institutions. We understand the challenges of today’s exhibitors and recognize the efforts of professionals like Funke. Our Customized Art Insurance policies are geared to your typical Art Gallery, Museum, Exhibition space, and Dealer business. We can combine General Liability, Public Liability (Bodily Injury and Property Damage) into one simple policy Insuring Art owned, on consignment, while in an exhibition, in storage and when being transported. along with non salable contents, desk, chairs, computers, fixtures, racks and business property. Our policies can include Landlords, curators and Artist as additional insured. 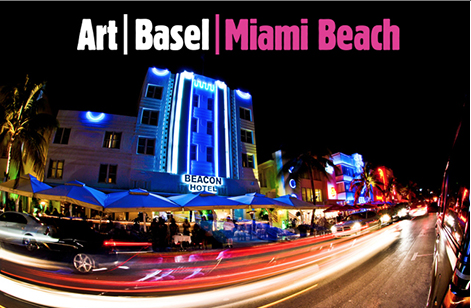 Visit us at www.artinsurancenow.com or call us at 800.921.1008 to learn how your space can benefit from the trusted one stop insurance for the art community. Report what you see. The most important quality of a condition report – and what allows it to function at all – is clarity. Photography, drawings, and verbal description should be employed effectively to document any exceptions that you find. Identify the exception, locate it on the artwork and indicate its scope. Strive for short and precise notes, and limit your use of relative terms; such as bad, small, severe, etc. I recently was working with an account who thought Liberty Mutual Arts policy was a great deal until he spoke with me. The policies I like to offer are geared to the Collector’s requirements. I will outline a few downfalls of the Liberty Mutual Inland marine endorsement. 1. Your Art Glass, Glassware, Statuary, Marble, Bric-a-Brac, Porcelain, and similar fragile articles, unless they give a very restrictive exception. Damage to Art happens more often than is reported. How can you make sure you are covered? American Airlines, along with seven other art handling companies, is being sued for damage to a slash sculpture by Lucio Fontana. the damage work occurred while it was being shipped to the New York Armory Show. Lloyd’s of London was the insurer for the gallery, Marc Selwyn Fine Art. Most art claims arise from transit damages, this is so important to make sure your current Art Insurance policy covers losses while your fine art, antiques, and collectibles are being shipped. Most policies do not restrict the mode of transportation be it Air, Train, Boat or Truck, but they do restrict using the United Postal Service’s regular mail. The Swiss art trading company AGB Contemporary AG consigned Concetto Spaziale (1955-60) to Marc Selwyn with a sale price of €175,000 ($196,000), according to the ArtNews newspaper. When the work was actually damaged is difficult to figure out. The Art was packed and stored by World Freight outside of Paris, then trucked to Charles de Gaulle airport for JFK via American Airlines flight to New York. One week later, the sculpture was transported to the Armory Show where it was uncreated and the damage discovered. Now, this is where I find it interesting. Lloyd’s paid Marc Selwyn Fine Art $104,250 to cover the insurance money due. But the work was for sale for $196,000 why did Lloyds of London pay out less? My theory has a few variables. The Art Dealer, Marc Selwyn Fine Art policy had a valuation clause of % of sale price or a % of consignment agreement minus a deductible. Sidebar comment: checks are made to the dealer, not the lender, which could be a problem if the dealer holds back or refuses to pay the lender, it is recommended you ask to be a loss payee on all valuable work given to dealers/galleries. These 3 variables are important to ask if you are the collector trusting your art, to a dealer. What is your policy evaluation clause if the work is stolen or damaged? Typical dealer valuation is selling price minus 20% or 30%. What is the valuation based on Consignment? usually consigned amount plus 10%. But what if work was double consigned? most policies are silent on this and would have to be clarified by the company or the courts. What is the deductible on the policy, $1,000, $10,000, $100,000? Are there any restrictions on the method of travel? to countries? I highly recommend the lender to be named as a loss payee on the dealer policy, in the event anything should happen to the consigned work. Each situation is different. Circumstances and risk tolerances evolving around the” business of Art” should be explored to help mitigate losses due to the unforeseen perils in the world we live in. Employee damages Art, is it Covered? In December 2015, a security guard damage, defacing and destroying paintings and sculptures of artwork, in the Wexner Center for the arts, Ohio State University, before killing himself. Does AXA Museum policy cover such losses? Yes. The AXA Museum form does not exclude for damage by an employee or the public. 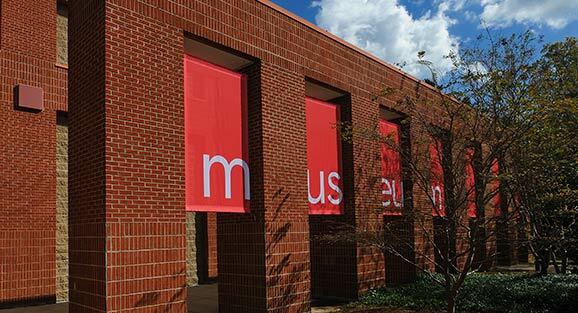 AXA Museum policy covers Art owned by the Museum, property on loan or offered for sale to the Museum. The coverage extends to frames, crates, cases and packing material. A Total Losses, the company we will pay “current market value” of the property at the time “loss” or damage occurs. The “loss” or damage shall be ascertained or estimated according to such current market. (c) The cost to restore the property as nearly as possible to its condition immediately before the “loss”. If the restored value is less than the value immediately before the “loss”, we will pay the difference between the restored value and the value immediately before the “loss”. Having the right policy in place with the right coverages helped Ohio State University with the money to rebuild and or restore their amazing collections. Insurance is to indemnify and restore the Insured to the situation prior to a loss. Sadly, Art is one of those objects which are very difficult to return to its original grandeur. Nothing last forever, but one would hope, through proper insuring a collection, it could be rebuilt with similar works or genres.